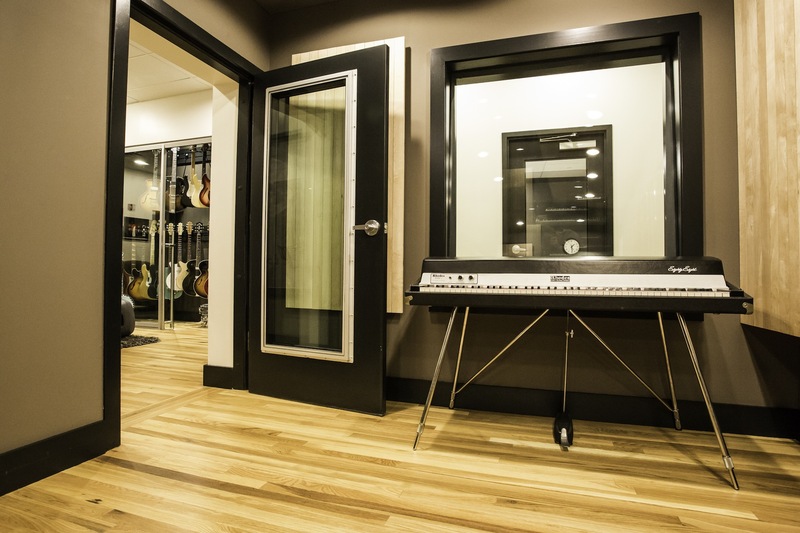 Acoustical Steel Doors | Soundproof Windows, Inc.
We offer the highest STC of any 1.75″ door offered by any manufacturer in the world. Not just higher but 3+ points higher! Our award winning acoustic design is patent pending. Other manufacturers offer two hinges as their standard. Our standard is three heavyweight capacity cam lift hinges (900# capacity). Three hinges should be mandatory for any acoustical door – because of weight, heavy traffic use, and long term maintenance. The cost difference is $150-200. Look at any building or home – can you find any doors with only two hinges? Any standard door hardware can be used on our 1.75″ door. No need for $700 special locksets. No need to use push/pull doors simply to avoid the expensive locksets. Our door is tested using a Home Depot lockset. With a rough opening of 39.5″, all other acoustic door manufacturers will give you a clear opening width of 33.5″or less. We will give you a clear opening of 36.0″. Our doors are about 3 inches wider than other manufacturers when mounted into the same wall opening. Our unique slip-in door frame is extraordinarily simple and works best with a double studded wall. Do not short out the isolation between the two walls you spent money and effort building. We attach to one side of your opening – not both. All our door and window designs enhance the double studded walls by NOT connecting across the wall separation. We can make our doors virtually any size.